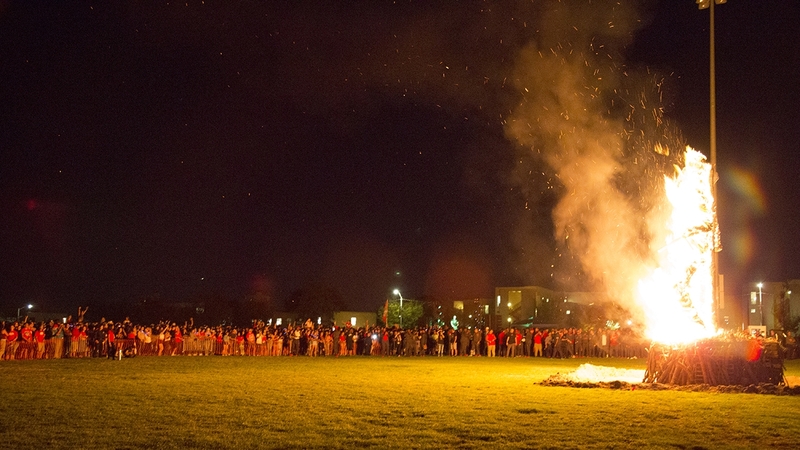 The annual burning of the Aggie as part of The University of New Mexico's Red Rally took place on Johnson Field last Thursday as the Lobos ramped up the spirit in preparation for their annual gridiron battle with rival New Mexico State University last Saturday in Las Cruces. “Red Rally puts the rivalry between us and New Mexico on another level for sure. To me personally, I think Red Rally is great because you see so many students from different backgrounds come together as one group and we celebrate our tradition” said Adam Biederwolf, executive director of ASUNM Lobo Spirit. 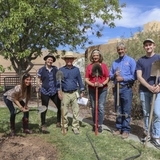 The event included local DJs, spirit squads, the Spirit Marching Band and the UNM football team. 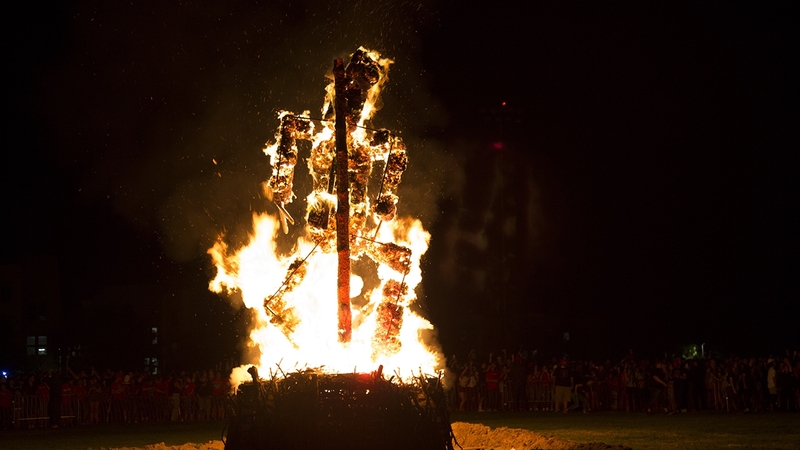 It all came together with the burning of the 25’ tall Aggie built by ASUNM members and Lobo Spirit volunteers. 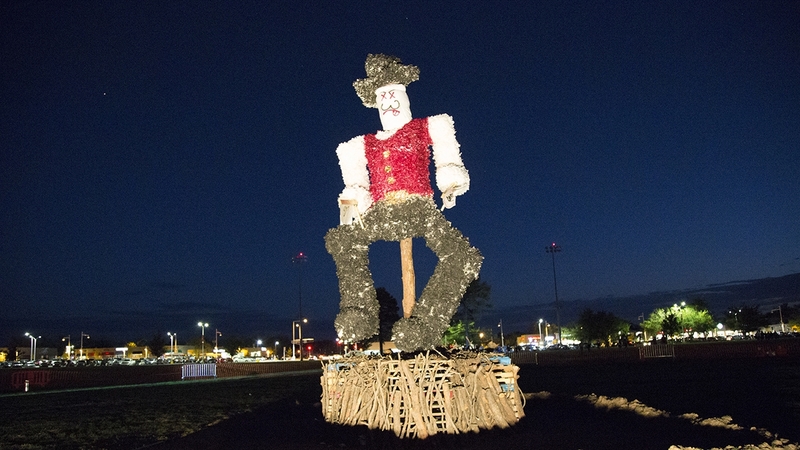 The members and volunteers built the Aggie using chicken wire, 2,000 napkins, newspaper, spray paint and a lot of hard work. 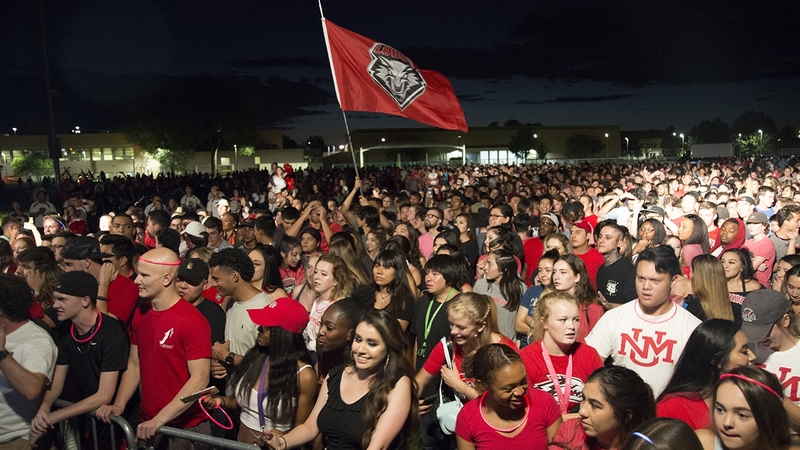 Red Rally is an engaging event in the UNM community that promotes Lobo spirit. 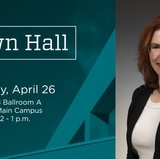 “I think that’s awesome because it really symbolizes what this university is all about, with each of us defines all of us,” said Biederwolf. 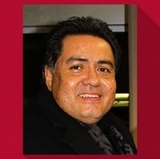 The Rio Grande Rivalry isn’t just about football. 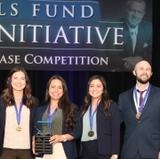 Although the football rivalry is strong, both the women’s soccer teams from UNM and NMSU put their differences aside on the pitch to come together for a good cause. The Lobo and Aggie Women’s soccer teams raised money for the Kickin’ Childhood Cancer event for the Children’s Cancer Fund of New Mexico. During the warmups before the soccer game on Friday, Sept. 14, both teams wore the same gray t-shirts which were sold during the game with all proceeds going toward the fund. In addition, a Go Fund Me page raised over $1,500 for the fund in less than a week. The rivalry weekend wrapped up in Las Cruces with the annual football game between UNM and NMSU at the Aggie Memorial Stadium. The Lobos fell behind 14-0 early in the first quarter but bounced back on the strength of five interceptions to snap a two-game losing streak to the Aggies with a 42-25 victory. The Lobos have a bye week this week before taking on Liberty Saturday, Sept. 29 at Dreamstyle Stadium as part of UNM’s 94th annual Homecoming festivities. 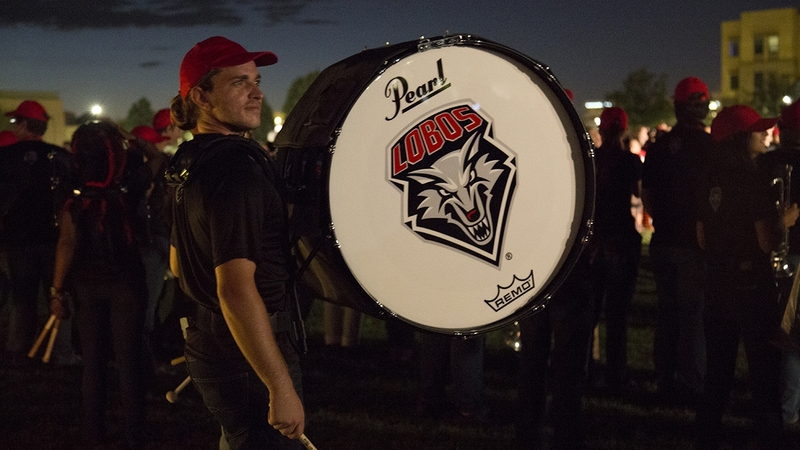 Kickoff is set for 4:05 p.m. For more information, visit Homecoming 2018: Peace, Love and Lobos!